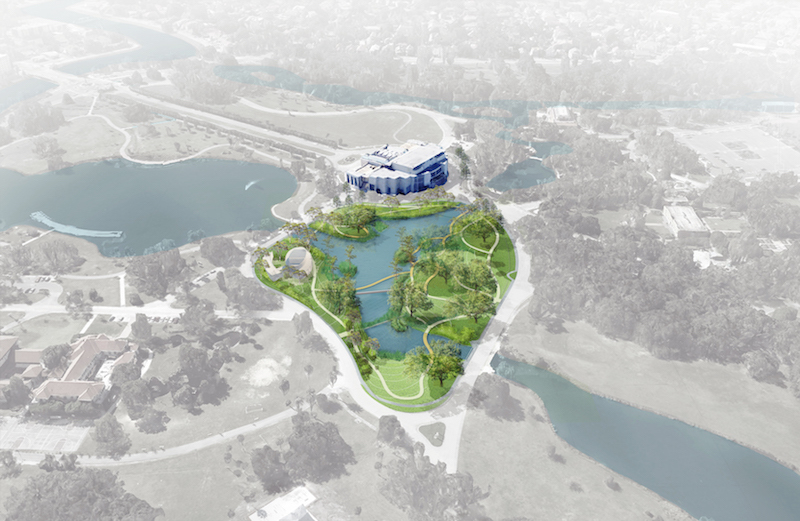 NEW ORLEANS (press release) – The six-acre expansion of the Sydney and Walda Besthoff Sculpture Garden at the New Orleans Museum of Art (NOMA) opens to the public on May 15. With environmental impact at the forefront of planning, the sculpture garden expansion emphasizes the distinctive character of the Louisiana landscape while incorporating architectural elements such as the first canal link bridge of its kind in the United States, an outdoor amphitheater and stage, a sculpture pavilion and an outdoor learning environment, alongside 26 new large-scale sculptures. In collaboration with landscape design partners Reed Hilderbrand, NOMA has designed a sculpture garden with water as its focus. A central element of the sculpture garden expansion, the existing lagoon within the perimeters of the sculpture garden is reshaped to emphasize the expanse of open water, and revitalized to capture, clean and aerate water as a healthy and sustainable resource. Reshaping and stabilizing the lagoon shoreline increases capacity, improves water quality, and reduces loads on the municipal drainage system. An integrated water management strategy diverts storm water pipes to capture sediments before reaching the lagoon and introduces emergent vegetation to mitigate pollutants. Set within the garden, a weir allows for changes in water level to address flooding potential and re-oxygenate the system as it flows through the garden. A connection between the existing five-acre Sydney and Walda Besthoff Sculpture Garden and the garden expansion is provided by a canal link bridge. Two hundred eighty feet in length, this structure dips into the lagoon, taking visitors down to the waterline and creating the unique experience of walking through water. The canal link is the first design of its kind in the United States, and only the second of its kind in the world. Set within the sculpture garden, a 5,000 square foot indoor sculpture pavilion created by Lee Ledbetter & Associates serves as a landmark for the expansion, offering exhibition space for indoor sculpture and other works in NOMA’s collection that complement the garden’s outdoor installations. The gallery’s elliptical shape is reflected inside through curving walls, encouraging movement around the installations. 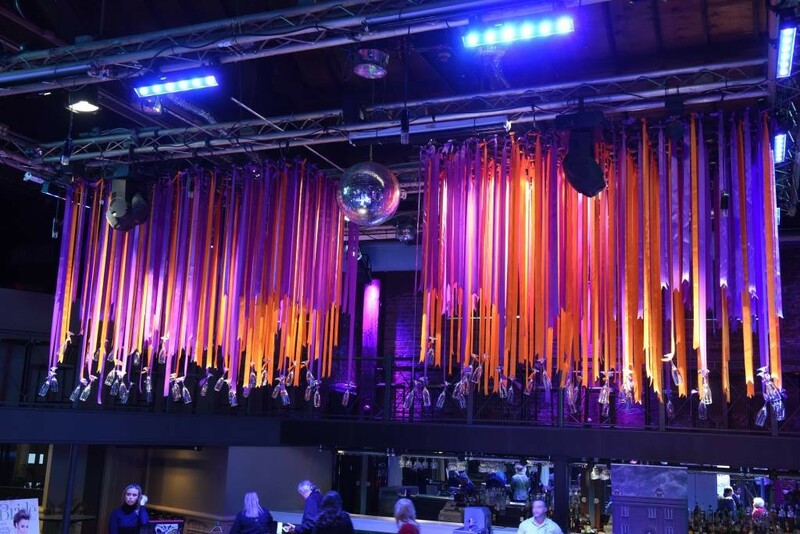 Eighteen-foot ceilings allow for the display of taller work, and continuous skylights around the room’s perimeter emphasize the gallery’s external setting. An amphitheater provides opportunities for musical, theatrical, and cultural programming, as well as a location for visitors to contemplate the garden. Bermed grass forms gradually stepped seating beneath a grove of trees, overlooking a backlit stage that extends over the lagoon. An outdoor learning environment offers a flexible and informal gathering space, accommodating classes and facilitating unique pedagogical and youth programming opportunities at the north edge of the garden. Paying homage to the lush character of the site, NOMA’s Sydney and Walda Besthoff Sculpture Garden expansion incorporates vegetation indigenous to the region as a setting to experience sculpture and the performing arts. Hundreds of newly planted trees, palmettos, and shrubs align with the historical fabric of the landscape, while preserved-heritage live oaks extend the adjacent canopy through the garden.